Big dreams, a shared passion—on the ice, they call it love. After suffering a humiliating loss at the Grand Prix Final, Japan’s number one skater, Yuri Katsuki, is ready to hang up his skates for good. Taking time off from competition, he re-evaluates himself and his passion, only to return home with no medals, zero confidence, and no reason to return to the ice. That is, until Victor Nikiforov, his idol and five-time gold medal champion, appears with a surprising offer—he wants to be Yuri’s new coach! 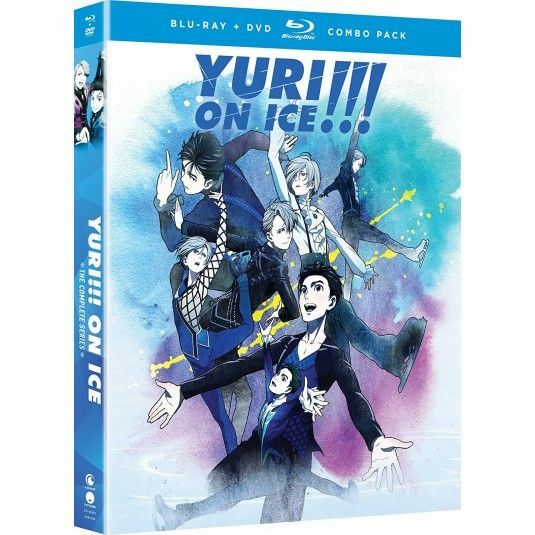 But this news isn’t sitting well with others in the skating world, and Yuri must push himself to prove that he’s worthy of Victor’s attention—starting by facing Russia’s rising star, Yuri Plisetsky. With new routines, the aid of his family and friends, and Victor’s undying support, Yuri will discover more about himself and his feelings within.